Olympic Tour Service offers services of professional guides and translators. Our company has professional guides of highest and first categories. They have license to work on the territory of Uzbekistan in English, French, German, Spanish, Italian, Chinese, Japanese languages. 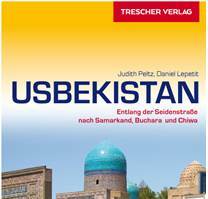 We will be happy to arrange excursions on the whole territory of Uzbekistan. We also glad to offer you services of professional interpreters with English, French, German, Spanish, Italian, Chinese with consecutive and synchronize translation. Upon request, we can assist in providing synchronize equipment.